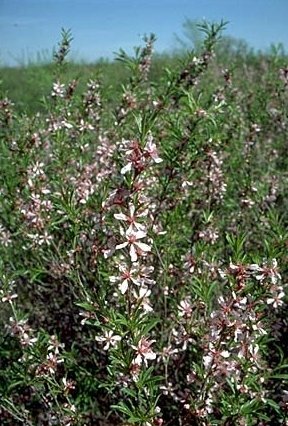 RUSSIAN ALMOND - a low, suckering shrub which may reach 4 - 5 feet in height. Dark pink flowers are followed by fruit which are small, hard almonds suitable for wildlife. Native from western Asia to eastern Siberia.